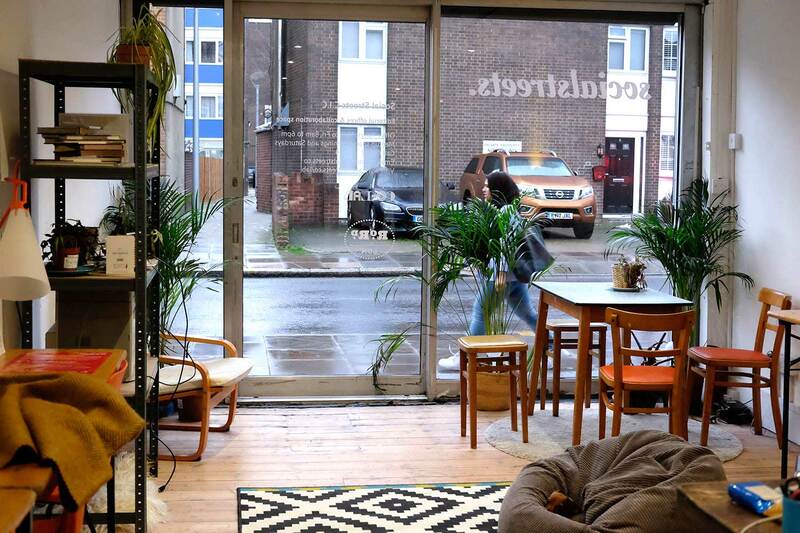 Social Streets has launched Co-Lab this January at 365 Roman Road. The project aims to provide affordable space for the local community to use. On Thursday 31 January Co-Lab held an open evening to celebrate a year of Roman Road LDN, and to give local people a chance to see the new space. The aim of Social Streets' Co-Lab is to put community at the heart of local journalism by opening up its editorial offices to the local community to create a hyper-local creative hub for people who value local community or wish to collaborate on local community projects. Social Streets Co-Lab will offer flexible and affordable coworking space designed to support freelancers, community groups and social enterprises, particularly those from the local area, who might not be able to afford conventional co-working space and might otherwise end up working in isolation. As well as affordable space, the scheme provides members with connections, opportunities and support they need to feed their own creative talent and to collaborate on projects that benefit community. By day the space will offer affordable membership-based co-working space. By night and at the weekend, the space will be used as a meeting room for community meetings, consultations, workshops, exhibitions and fundraising events. Co-Lab will be a place where members can create and innovate in a collaborative culture, and where members support each other by sharing resources, skills and ideas. It aims to be a haven where creativity can flourish, welcoming those from the creative, design, digital and media industries. The space will also be the base for the editorial offices of Social Streets' flagship title, Roman Road LDN. By bringing the local community into the heart of its editorial operations, Social Streets is better able to achieve a new model of local journalism that is genuinely community-centred. Local collaboration will be the bedrock of the editorial process. This is new ground, so if there isn't a membership option that works for you or your group, please get in touch to discuss how it the membership options could be better moulded to your needs. If you're interested in sharing a working space with local creatives, get in touch. Founder members receive a 20% discount.